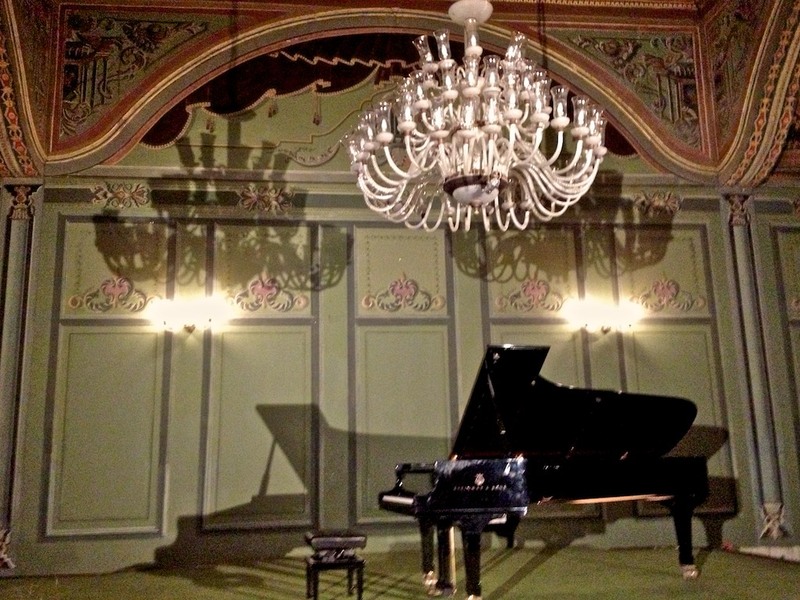 Classical Music at Manasterly Palace…is back! How divine to reconnect with the Nile, Manasterly Palace and classical music on an October night! Yes, as of October 2012, classical music is back at Manasterly and there is nothing more soothing than to stand on the Palace’s wide terrace at the tip of Roda Island with waters rushing and anticipation building for an evening filled with classical music. This past week, on a cool Cairo evening Nima Sharkichik performed Schubert, Debussy, and Liszt. A performance where music could not be separated from the musician; Mr. Sharkichik, center of his music, projected aesthetic sensitivity of composition to the audience with a sublime mastery of the grand Steinway piano. Next is Russian pianist, Anastasia Terenkova, November 11th at 8pm. Tickets are 50LE and can be purchased at the door or the Opera House administration building. There are plenty of seats so come and support an evening with the classics in a very special venue. Visit: www.manasterly.com and sign up for email notifications. Your support for the International Music Center will ensure that it continues. How beautiful, Lesley, the picture, the scene described and the writing!